It All Starts with DIRT! The weather is finally starting to get warm. The sun is higher in the sky and staying out past it’s winter bedtime. The shades of winter are blossoming into the bright greens of Spring. All this means summer to me. Hot days (which I love), warm nights, and fresh produce. What’s a better way to hang out with Mother Nature than to start your own garden in your backyard? You’ll enjoy the fruits of your labor while spending some quality time getting down and dirty. So what are some of the things you need to know when you start an organic garden? Well, you need to know your soil. If you live near the ocean, you may have sandy soil or maybe it’s clay or silt (or loam). It’s best to understand what your soil needs to be in balance so you can grow great tomatoes, cucumbers, and one of my favorites – herbs, all types of herbs! Fill a quart jar with a third of topsoil, then top with water until almost full. Screw the lid on tight and shake until all of the soil has dissolved. Leave the jar alone and let the large particles begin to sink to the bottom. 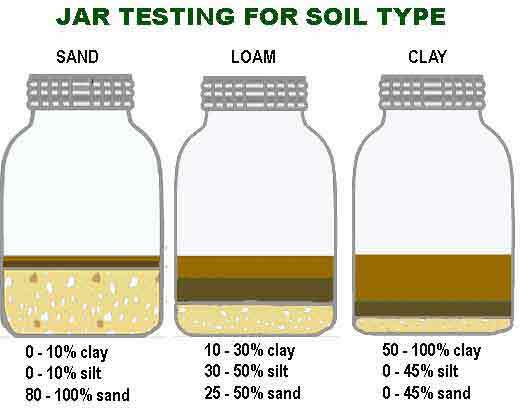 After a minute, the sand portion of the soil will sink to the bottom, mark it on the jar. Now go do something fun and leave the jar alone. As you’re out having fun, the finer silt particles will settle into the sand leaving you with an array of different colors indicating various types of particles. The next morning, check on your jar and mark the thickness of the next layer, which is clay. On top of the clay will be a thin layer of organic matter while the erst of it will be floating in the water. If there’s no organic matter in the water, you probably need to add some to help your soil out, but more on that later! 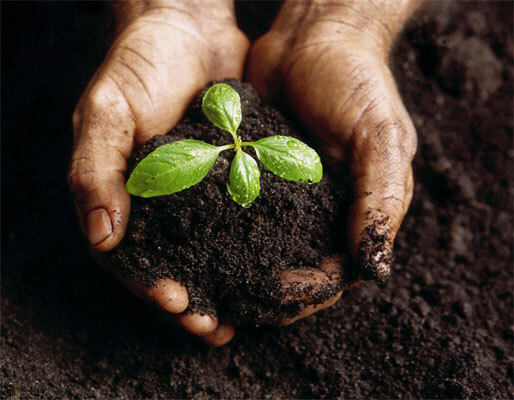 So now that you know what type of soil you have, you can be more prepared on how to balance it and make it the optimal home for your fruits, vegetables and herbs. In my next post, I’ll give the elements of a balanced soil and help you turn your sandy, clay or silt soil into a vegetable’s dream! < Previous Allergies… They’re Coming – Stop them Now!